Sedgefield is situated just off the A177 between Durham and Stockton on Tees. The church is situated on the main road through Sedgefield, at the north end of the village, opposite the North End BP garage. 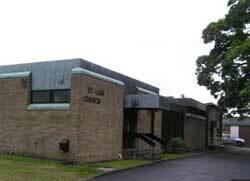 The present church building was opened in 1967, purpose built, with two large halls. There is always a warm welcome for visitors and newcomers. Alternate Mondays, 7.15pm – 8.30pm: Wives and Friends. Ladies of all ages are welcome to join this group, who meet fortnightly, for a varied programme of talks, activities and outings - and for fellowship together. Alternate Wednesdays, 1.00 – 2.00pm : ‘Singing for Health’ : Open to everyone. Alternate Wednesdays, 1.30pm – 3.00pm: Seekers . This group meets together fortnightly, in the church hall, for conversation, fellowship and devotion. 1st & 3rd Thursdays, 7.30pm: Bible Study Group meets in a member’s home. Saturdays, 9.30 - 10.00am: Prayer Circle. The church is open at this time for all who wish to join in prayer. First Saturday of the month, 10.00am – 11.30am: Coffee Morning. An opportunity to meet for a chat over a cup of coffee – and raise money too. Please contact Rev Janet Titterton.